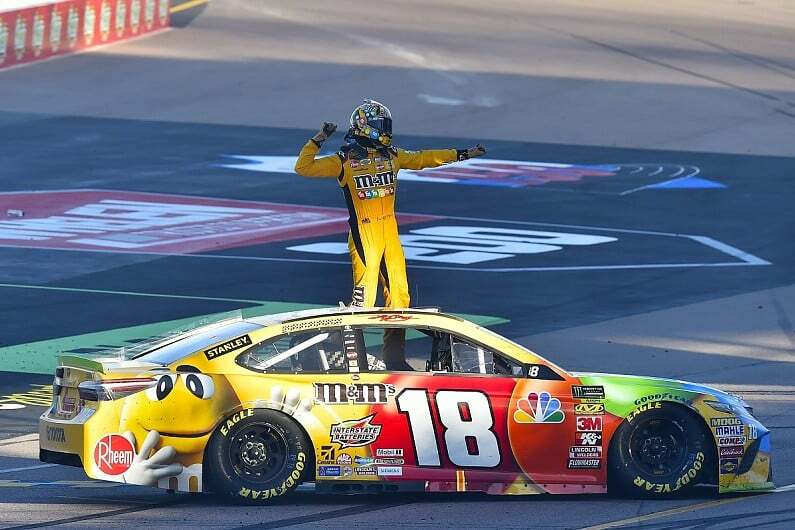 Home > US Sports > Nascar > Kyle Busch wins in lead up race to Homestead. Kyle Busch held off Brad Keselowski in the final dozen laps, winning his eighth race of the year, tied with Kevin Harvick for most this season. Entering the race just needing to finish sixth to guarantee he would qualify for the finale. On the last restart, Aric Almirola and Kyle Busch lead up to the line, no one would have been surprised, if Busch played it out strategically and allowed Almirola to beat him for the lead, that way attempting to keep a much more dangerous opponent in Kevin Harvick out of the finale. Busch was honest about the idea. It’ll be Kyle Busch, Kevin Harvick, Joey Logano, and Martin Truex Jr battling it out for the Title, in what will no doubt be a showdown between Ford and Toyota. Kurt Busch, Chase Elliot, Aric Almirola, and Clint Bowyer were all eliminated. Harvick started on the pole and led the first 72 laps before his tire went flat, that put Harvick back in 30th and one lap down. And it certainly wasn’t easy, having to fight his way back for a good part of the race. When it looked like Kevin Harvick may end up not going to the finale with a chance at a Title, a speeding penalty fell on race leader Chase Elliot. And then to compound Elliot’s problems further, a wreck involving Denny Hamlin and fellow Contender Kurt Busch caught him unawares, ultimately costing him a shot at the title along with Kurt Busch. Busch finished 32nd. Elliott lost three laps under repairs and finished 23d. Logano had his left rear tire go flat early on in the race, which caused him to spin out. He finished the race in 37th. The season rounds up Sunday at Homestead-Miami Speedway. Truex will go into the race looking to defend his title.